More Hangover than handover, the Adelaide Book Club visited Hong Kong last month, so I thought I’d share some of our highlights, and a reading list. (A pause here to acknowledge that with our book club being how it is, the actual reading list comprised Elle, Vogue and Who magazines. 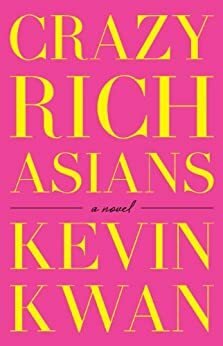 But nominally our book of the month was Crazy Rich Asians by Kevin Kwan, which I reviewed here). I’ve been lucky enough to travel to Hong Kong on and off for the last ten years and become familiar with its bright lights, sights and smells (and smog, humidity and impatient pressing of the close-doors button in lifts). I love the Donkey Kong high-rises and the view over the harbour, and there is an abundance of bars and restaurants to indulge in, with new places opening all the time (too many, and too much indulgence, you could say). Where to start? We went from the airport straight to the Jade Market, to catch Irene of stall 278 before she left for Japan to stock up on pearls. Nothing if not dedicated, we shopped here for two hours before checking into the Conrad! Sandy’s Pearls (around stall 400) is also very good. We had a great dinner here on the first night. It’s in the Star Street precinct with I really like: old-school factories mixed with independent Western boutiques (increasingly so, and some might say it’s losing some of its original character, but for me the balance is still okay). French-Vietnamese with a buzzy atmosphere, outdoor tables and people watching. We took a walk down Queen’s Road East after dinner and ended at Lee Tung Avenue – prettily decorated with red lanterns – and had a negroni at Ophelia. This is a luxe bar with a peacock theme and glamorous dancers in cheung-sams performing and posing. I don’t think I could spend too much time there, but it’s very Hong Kong. Another bananas bar by the same people is Iron Fairies, 1 Pottinger Street, Central (on the corner with Hollywood Road) – I recommend the watermelon daiquiris. A favourite roof-top bar, with a great view of the harbour and the light-show at 8pm. We had a pitcher of Sangria, possibly a mistake – I would recommend the lychee martinis next time. A fun restaurant in Central, with great food. Asian fusion with Momofuku influence, wonderful flavours. The prawn toast and XO noodles are a must. No bookings (unless over 6 people) but they’ll drink sake with you while you wait, or you can take a drink on the terrace at Chom Chom across the street – we had a delicious mint chilli cocktail there. At Ho Lee Fook. Kathy and Nicola each bought a lucky cat to take home, so they are sure to have good fortune this year! Sunday brunch here is a must. Free-flowing champagne, impeccable Japanese food and a fun crowd – what’s not to love? Zuma – the best Sunday brunch. I love this restaurant. It has a fabulous bar overlooking the harbour, beautiful fit-out and the food is always great: I am still dreaming about that steak (I don’t eat much meat and rarely order steak but this was perfect). Highly recommended for a special night out. A charming, funny memoir of Austin Coates, who was appointed a magistrate in Hong Kong unexpectedly in 1949. I found this book thanks to Simon Winchester, who mentioned it in The River at the Centre of the World. Highly recommended. A classic. A story of a man who meets a woman on the ferry from Kowloon and stays in a hotel/brothel in Wan Chai. It has some wonderful descriptions of old Hong Kong and romance at its heart. This novel does a great job of evoking Hong Kong from the 1930s to the 1990s, starting with a young man who travels there from England for an adventure. Through him you have the first impressions (eg the blunt frankness of the Cantonese language, the smells of the harbour) and we then meet other characters and see Hong Kong through their eyes. Well-observed. This novel from the point of view of three American women in Hong Kong captures the expatriate experience in all its superficial glory. Told with compassion and an eye for the small details that make up Hong Kong life, I found it sad but compelling. If you have any recommendations for books set in Hong Kong, please let me know!